In 2011, San Francisco Giant fan Bryan Stow was nearly beaten to death at Opening Day in Los Angeles by two Dodger fans. That same year, the San Francisco 49ers hosted the Oakland Raiders in a preseason match-up where seventy fans were ejected from the stadium, one person was beaten unconscious in the men’s room, and two men were shot in the parking lot after the game. These are just two recent incidents that raised concern around the country. American fans are not alone in their violent expressions of team loyalty—soccer fanatics around the world are well known for their hooliganism. Last year in the span of one weekend, headlines screamed of a fan killed in Brazil, a soccer supporter in England who punched a police horse, and three fans shot in Italy. Too often in sports, whether little league or the highest levels of professional sports, passions explode, fans act out and people get hurt — and sometimes even killed. Why do fans resort to violence like this? What drives them to abandon societal norms and act out in unimaginable ways? Fanaticus: Mischief and Madness in the Modern Sports Fan explores the roots of extreme fanaticism, from organized thuggery to digital hate speech. Sports television producer Justine Gubar reaches back into ancient times, providing a history of fan violence, misbehavior and hatred from ancient times to the present. In order to comprehend the chaos on a global scale, Gubar revisits several notorious riots and tragedies throughout the United States, Europe, Asia, and Latin America. 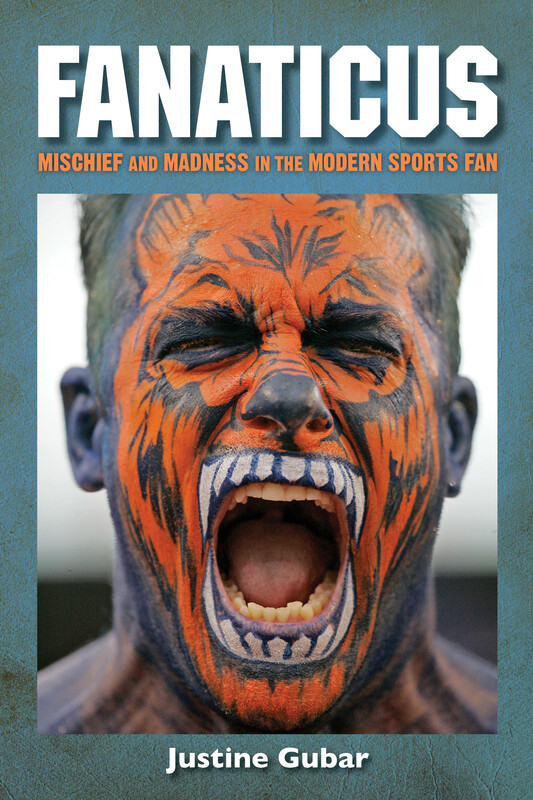 In addition, the author investigates the sports leagues and the security and beverage industries so as to explain the roots of fan misbehavior and to dispel common myths that are often invoked to understand the madness. Featuring original interviews with European football hooligans, rioting college students, professional athletes, and beleaguered law enforcement officials, Fanaticus provides a rare window into what drives human behavior. Together, these voices create the fullest picture of modern fan mayhem ever written.